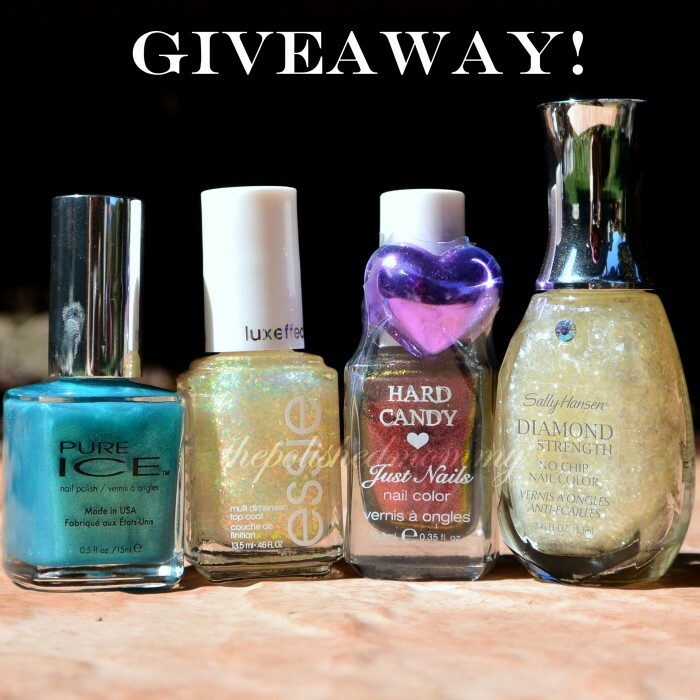 Out of those in the giveaway, either Essie Shine of the Times or Hard Candy Beetle. Thanks so much for the giveaway!! SHINE OF THE TIMES!! Augh!!! I can’t bring myself to spend $15 on it, but GOSH I want it sooo bad. Also, I didn’t know Glass Slipper was discontinued! Rats! Should’ve gotten it when I had the chance! My favorite discontinued polish is Harlow Zoya. I have always wanted to get Shine of the Times!!!! I’m crossing my fingers and toes for this one! My favorite discontinued polish is Colors by Llarowe In Another Dimension.